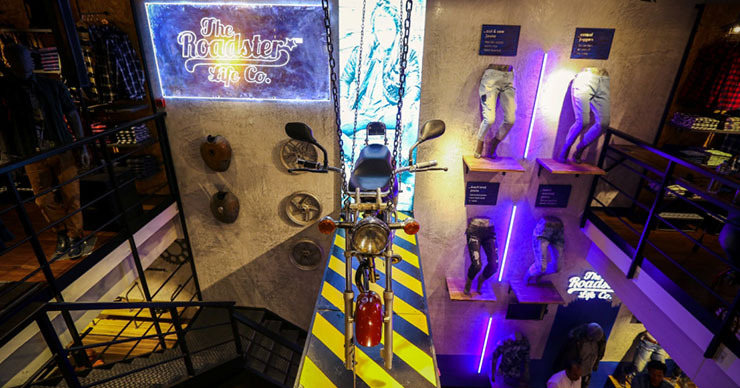 On March 17th 2017, Myntra opened its first offline retail store for its outdoor lifestyle brand Roadster, one of its bestsellers. The opening of this store lines up with Myntra’s ambition of employing technology to make fashion and lifestyle more accessible to the Indian mass. The new Roadster store is opening at 100 Feet Road in Indiranagar, one of the very posh residential and commercial locality of Bengaluru. With a store size of 4000 square feet, this luxuriously huge store has been designed to engage customers with its appearance, ambience and use of technology. Inside the store is a video wall, with complete control to shopper by virtue of a touch interface, which will display every nooks and crannies of all Roadster products as well as provide a snippet of the latest fashion trends across the globe. To make things more interesting for the customer, a ‘Scan & Go’ purchase mechanism will be in place which will allow customers to add their purchase choices from the Roadster lineup into the Myntra shopping cart, removing the need for shopping bags, checkout counters and long billing queues, making it an even more comfortable experience for the customer. To take the technology boom employed at Roadster one step further, a ’Highway 360’ feature, powered by virtual reality, will allow a person to visit idyllic locations and have incredible experiences, all through a virtual road trip. 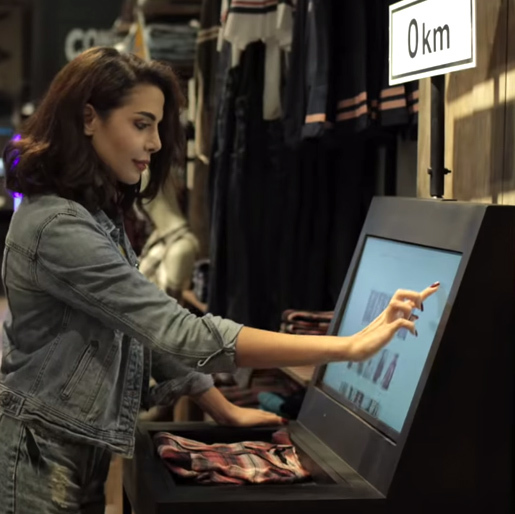 If this wasn’t enough, the customers will also get to pick tokens from a display that are to be placed on the touch-surface which will reveal real life destinations and clothing options appropriate for said location. All of this technology is done through the power of Artificial Intelligence, designed to empower and enrich the customer experience. Myntra and Roadster’s alliance has paved the way for Myntra to develop an omni-channel presence, a feat not yet achieved by e-commerce sites in India of this scale. Roadster’s sale on Myntra constitutes of a little more than 8% of the overall revenue of Myntra, and such a partnership will help push Myntra’s dream of technology integration to the customer buying experience. 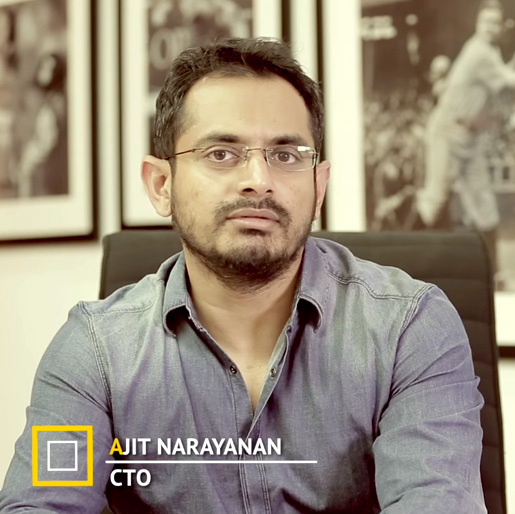 Ananth Narayan, CEO of Myntra & Jabong, spoke at the occasion of the store’s soft opening. He said that the store’s opening was the first step in Myntra’s plan to expand in the offline market and a brand like Roadster, with a growth rate of 80% YoY, will make for a very beneficial partnership for Roadster to boost its products and Myntra to become more omnipresent in the Indian retail market. He added that the store would be a transformative experience for customers through the technology that they will get to experience and bring in a new era of the shopping experience overall. Adding to that, Manohar Kamath, Head of Myntra’s Fashion Brands, said that the store will be an addition to the portfolio of what Myntra has to and can offer to customers and the store’s design will prove to be a game changer for the future of retail.